The SEQUEL to Laughing Into Love - Brian Quinn FanFiction. Melanie and Brian have had a whirlwind of a year. Forced together during an episode of Impractical Jokers, they managed to get through their drama and are finally happily engaged. But not everyone is thrilled with how fast things are moving. Not everyone understands what they have, and not everyone deserves to have a say in the matter either. But how long can their happiness last when their past comes to their present? Brian Quinn finds love unexpectedly. It alters his thoughts on his life as he finds himself caring even for the red haired girl with icy eyes. Q and the Impractical Jokers' tour manager don't get along. What happens when you have two people who are so alike but also so different and have them work so closely with one another? 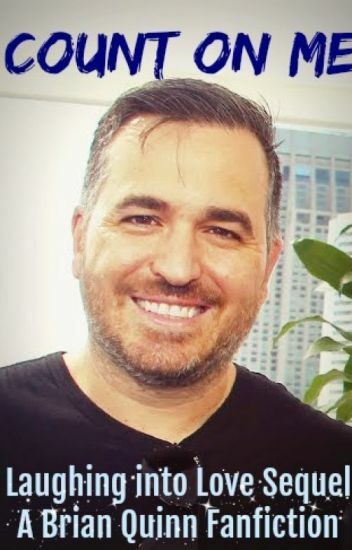 When Brian Quinn has a taste of the ultimate forbidden fruit that could effect his friendships and career can he just walk away from temptation? My Brothers Best Friend! Part 1! This summer I decided to visit my brother, James Murray. I haven't seen him in years and I wanted to visit him again. One day I decided to go to work with him and I instantly fall for his best friend.... Sal Vulcano! Part 1 out of 3!!! Skylar and Q are back and ready to tackle new obstacles but will they do it apart or together? Sequel to Forbidden Sins Story, make sure to get the beginning story for these two before diving into this one! Emily and Sal met in high school and have been best friends ever since! This book shows the journey, from High school to present time, of their friendship. Emily and Sal have been through so much together and were practically inseparable! They both thought it was nothing more than a friendship until Emily realises she has feelings for Sal?! What will she do? Will she tell him or keep it to herself??!! Emily is the new producer on Impractical Jokers. She's quite shy and nervous at first but instantly becomes friends with the guys. She falls for Sal instantly. And Sal falls for her... but so does Murr!! After months apart what is the status of Maren and Brian? Can the Jokers convince her to return to New York and pick up where the madness left off? Part 2 of the story Love Connection. Josie and Brian and baby makes 3. Life seems perfect then Josie gets very unexpected, unsettling news. Can she get through it? will she pull away from Brian? Can they survive?